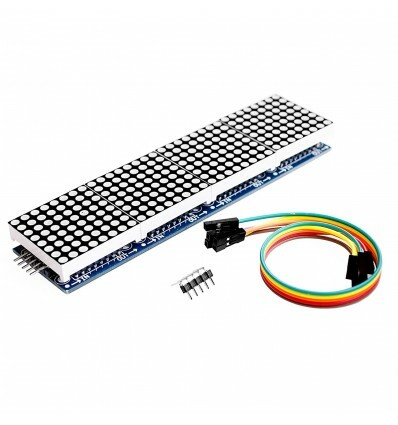 LED Dot Matrix Display Module 8x8 x4 MAX7219 4-in-1 For Arduino - Cascading Panel of 4 LED Dot Matrix Modules. 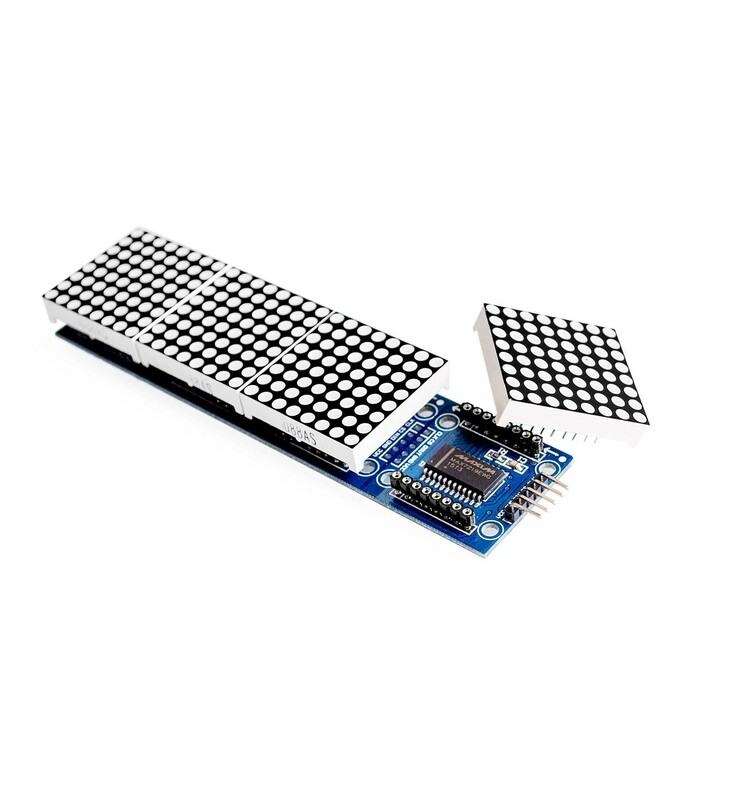 This large matrix display is essentially a collection of four 8x8 dot matrix modules that are joined together to create an 8x32 dot matrix display. 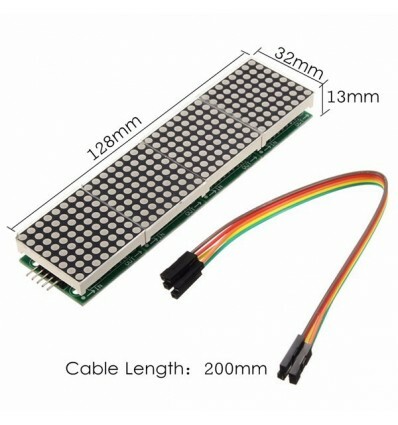 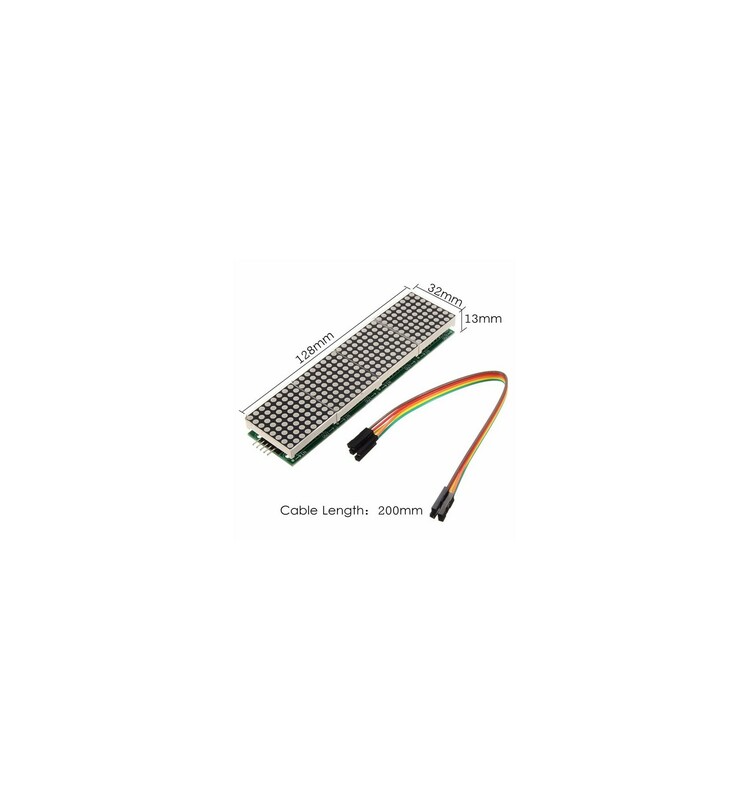 These can work together by using the MAX7219 LED Driver IC module, or can be split apart to work individually in separate projects. 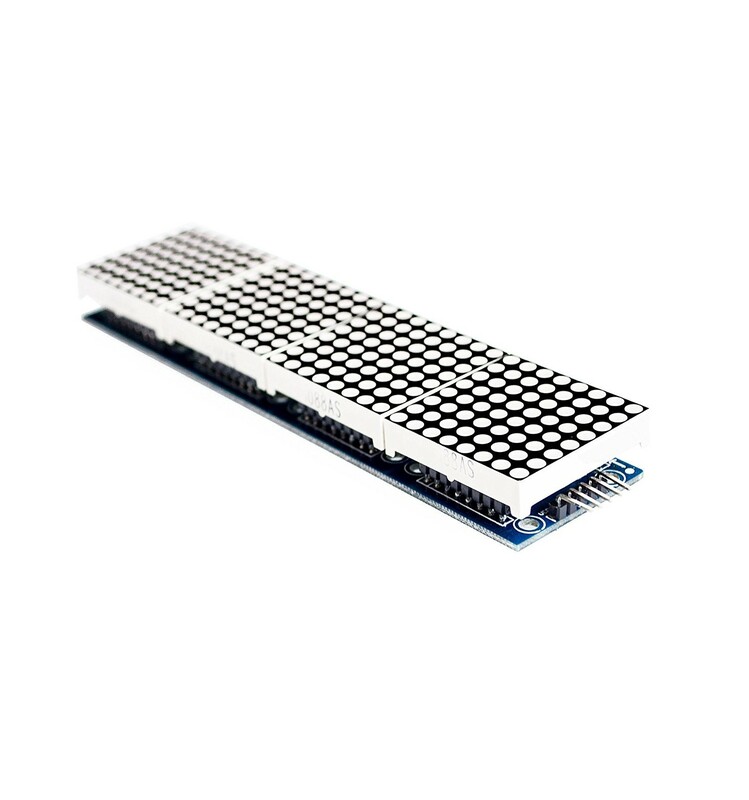 The panel of displays operate on 5V, with 16 total mounting holes of 3mm each. 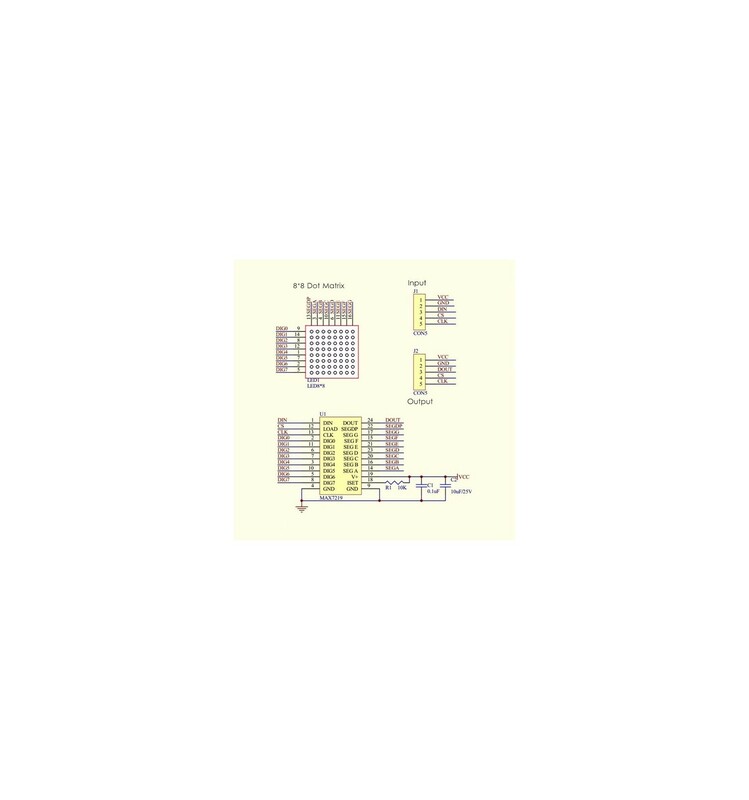 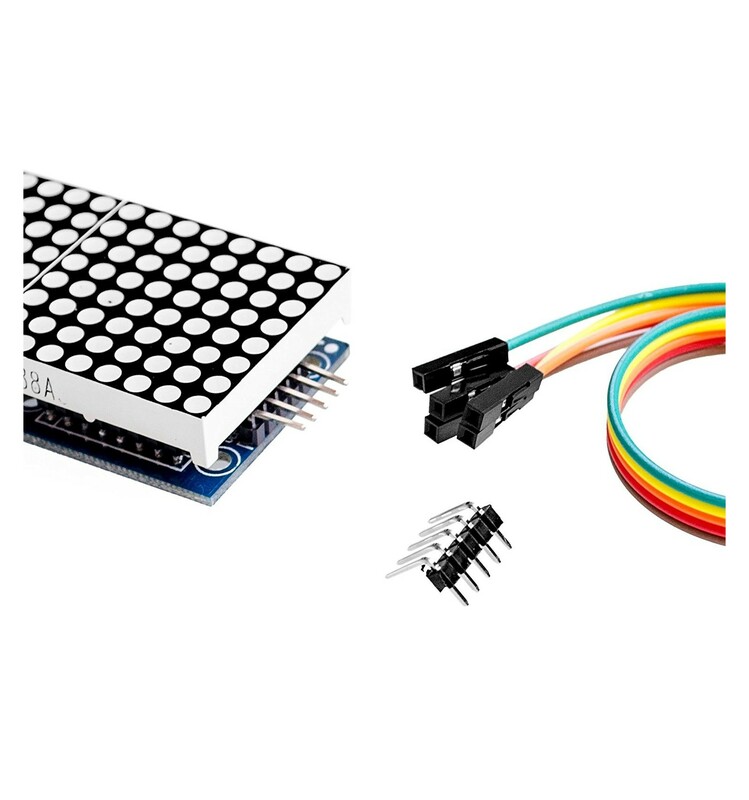 It can be interface via serial or SPI, and all of the matrices can be controlled via a single input – with the output of each module connected to the next module’s input. 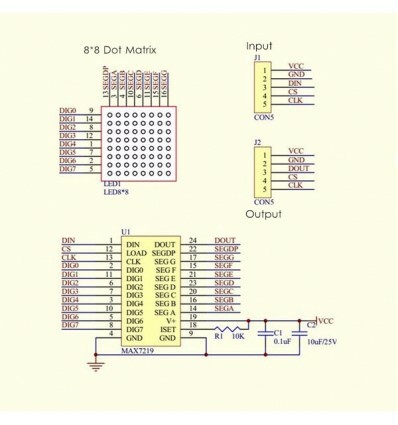 The left side of the module is the input port, and the right is the output port. 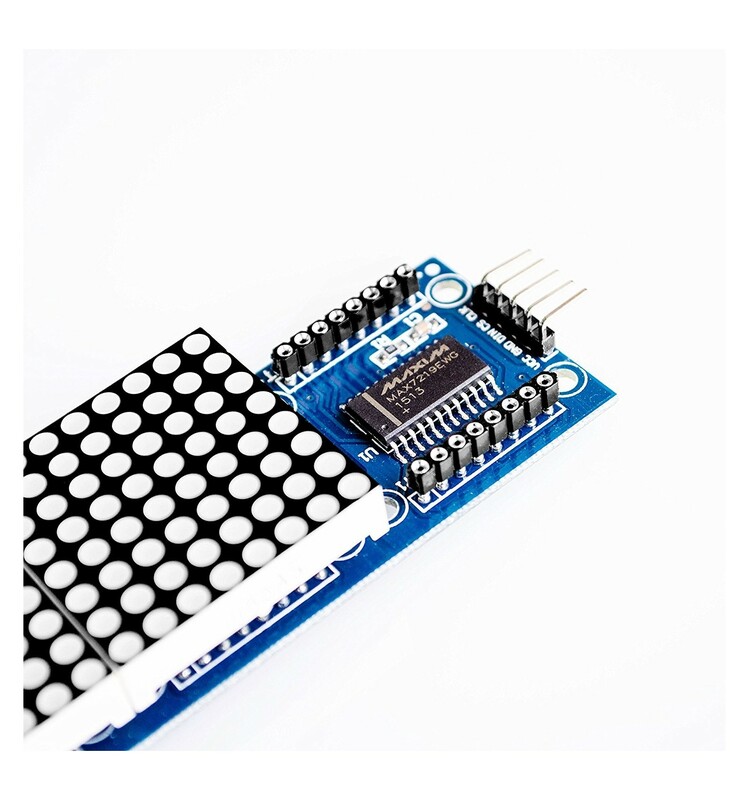 Control of a single module or all modules, only the input port only need to receive signals. To cascade more modules and input end of the first module is connected with the CPU and input end of the input end of the output end is connected to the second module, output terminal of the second module connected with the three modules, and so on.